The work of the chariot, ma asey merkayvah, is forbidden to teach except to highly qualified students. 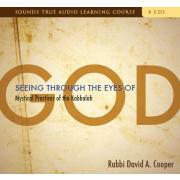 This is the foundation of Kabbalah. Only in the past fifty years have people been exposed to the teachings of the Holy Chariot. This chariot, of course, is a metaphor, a vehicle that can carry one to higher consciousness. One of the ways that literally gives us an experience of being in the metaphysical chariot is through listening to the sound of the shofar. When we hear the call of the shofar, most people experience a momentary transformation. This is a hint of the experience of God Consciousness through which we will ultimately enter into a paradigm shift that will cause us to see this world with entirely new eyes.